I'm still getting crafty - even into the night tonight, and thought I would make a card and enter into the Simon Says Challenge for my first time. I am actually surprised that I have never entered into this challenge. I usually buy my crafty goodies from Simon. I recently bought a stamp set from PaperTrey Ink that I have been eyeing for quite some time - and I "splurged" and bought it with the coordinating dies. The stamp set is called "The Sweet Life". This set is gorgeous!! 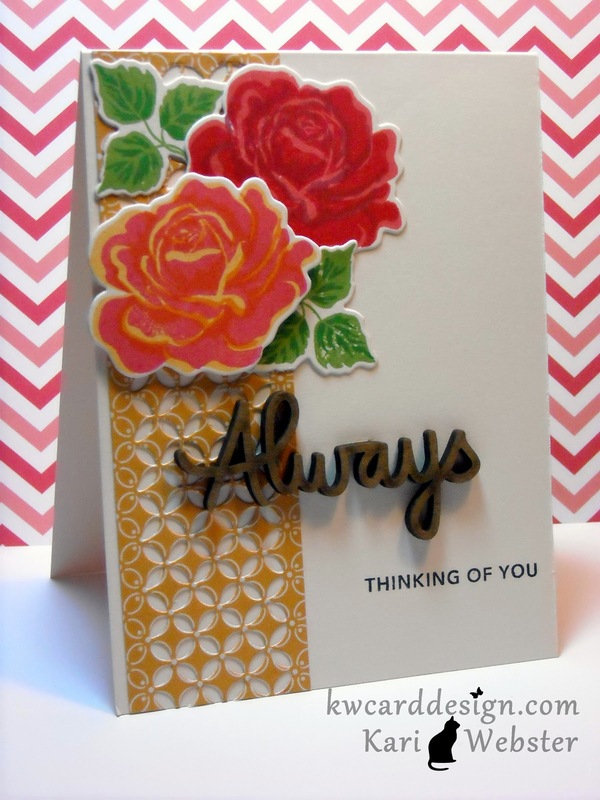 This set makes any stamper look like they took hours to stamp out these beautiful roses. I love the multi step stamps - to me they are so much fun!! 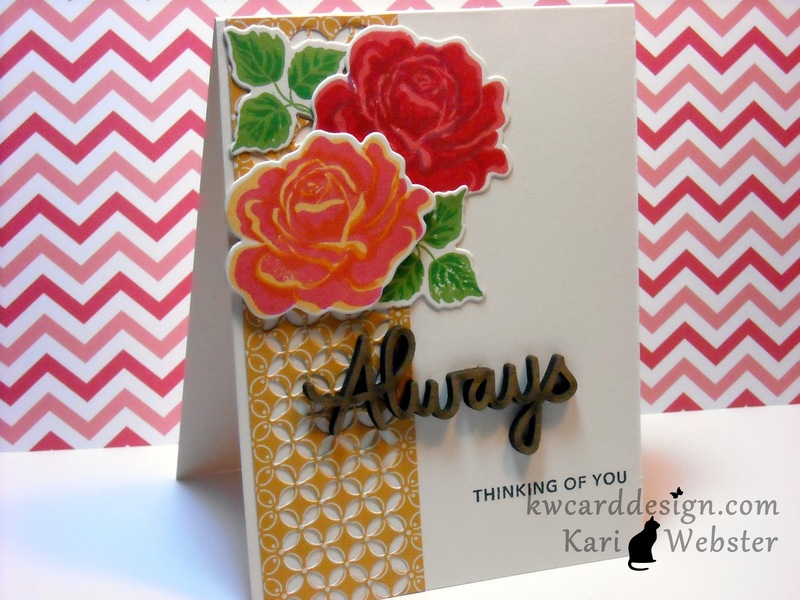 I die cut and stamped out the roses and leaves from this set. I used THIS die and die cut a strip of pattern paper from the Sweet Day collection from Echo Park. I applied my leaves, and roses on my card base - and I popped up the pink and yellow rose for some dimension away from the red rose. I finally used the Always wood sentiment that came in my SSS October card kit, along with the stamp set - and that is where the "thinking of you" sentiment comes from. I totally thought those flowers were die cuts! They are gorgeous!! Good buy! Beautiful card, I love all your gorgeous details and fantastic flowers ! Absolutely gorgeous card!! So pretty and elegant!! Lawnscaping Challenge #45 - Dust 'em off!